Whey Protein Isolate, Whey Protein Concentrate, Whey Protein Hydrolysate, Birthday Cake Flavorettes (Sugar, Corn Syrup, Corn Cereal, Corn Starch, Hydrogenated Palm Oil, Natural and Artificial Flavor, Red #40, Yellow #6, Blue #1, Yellow #5), Natural and Artificial Flavor, Gum Blend (Cellulose Gum, Xanthan Gum, Carrageenan), Salt, Sunflower Lecithin, Dipotassium Phosphate, Sucralose, Lactase, ProHydrolase®, Acesulfame Potassium. Mix one scoop (34 grams) with 6 ounces of water, milk, fruit juice or your favorite beverage. Ideally take one serving immediately following your workout. To modify the consistency of your protein, increase or decrease the liquid level to your liking. Whey Protein Isolate, Whey Protein Concentrate, Whey Protein Hydrolysate, Cocoa processed with alkali, Natural and Artificial Flavor, Gum Blend (Cellulose Gum, Xanthan Gum, Carrageenan), Salt, Sunflower Lecithin, Dipotassium Phosphate, Sucralose, Prohydrolase, Lactase, Acesulfame Potassium, Maltodextrin. Whey Protein Isolate, Whey Protein Concentrate, Whey Protein Hydrolysate, Cocoa processed with alkali, Natural & Artificial Flavors, Gum Blend (Cellulose Gum, Xanthan Gum, Carrageenan), Salt, Sunflower Lecithin, Dipotassium Phosphate, Sucralose, Prohydrolase, Lactase, Maltodextrin, Acesulfame Potassium. 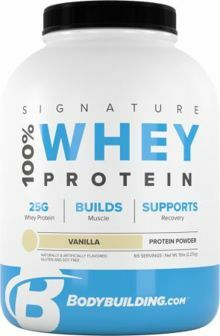 Whey Protein Isolate, Whey Protein Concentrate, Whey Protein Hydrolysate, Natural and Artificial Flavors, Salt, Gum Blend (Cellulose Gum, Xanthan Gum, Carrageenan), Sunflower Lecithin, Sucralose, Acesulfame Potassium, Ground Cinnamon, Lactase, Prohydrolase™ (Proteases from Bacillus and Pineapple), Dipotassium Phosphate. Whey Protein Isolate, Whey Protein Concentrate, Whey Protein Hydrolysate, Natural and Artificial Flavor, Gum Blend (Cellulose Gum, Xanthan Gum, Carrageenan), Sunflower Lecithin, Salt, Sucralose, Acesulfame Potassium, Lactase, Prohydrolase® (Proteases from Bacillus and Pineapple), Dipotassium Phosphate, FD&C Red No. 40. Whey Protein Isolate, Whey Protein Concentrate, Whey Protein Hydrolysate, Natural and Artificial Flavor, Gum Blend (Cellulose Gum, Xanthan Gum, Carrageenan), Maltodextrin, Salt, Sunflower Lecithin, Dipotassium Phosphate, Sucralose, Lactase, Prohydrolase, Acesulfame Potassium. Bonus: It’s also easy to digest and a source of powerful BCAAs. * Our Signature 100% Whey Protein combines three hard-hitting types of protein in one powerful blend. It’s perfect first thing in the morning, between meals, and especially after your workout. It’s so delicious, it’ll also slay that sweet tooth!